Father and son Jim and Kurtis, their relative Brian, and their friend Joe Mumper wanted to open up west side Cincinnati’s first brewery. Jim, Kurtis and Brian grew up on the west side and while co-owner Mumper is originally from Norwood, he’s wanted to own a brewery for several years. 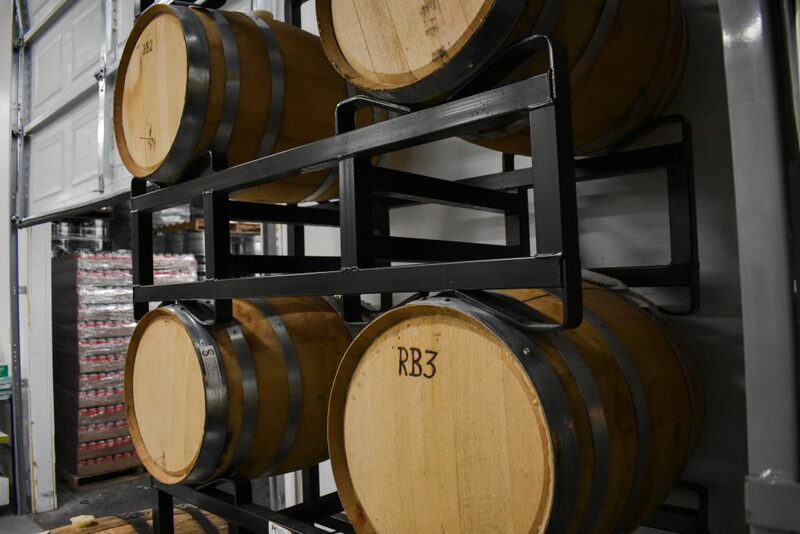 Almost a year and a half later, West Side Brewing stands as not only the first brewery on the west side, but also so much more. Every night of the week, customers can find a different food truck parked outside, play trivia, or listen to live music. On Wednesdays they can even bring their dog. 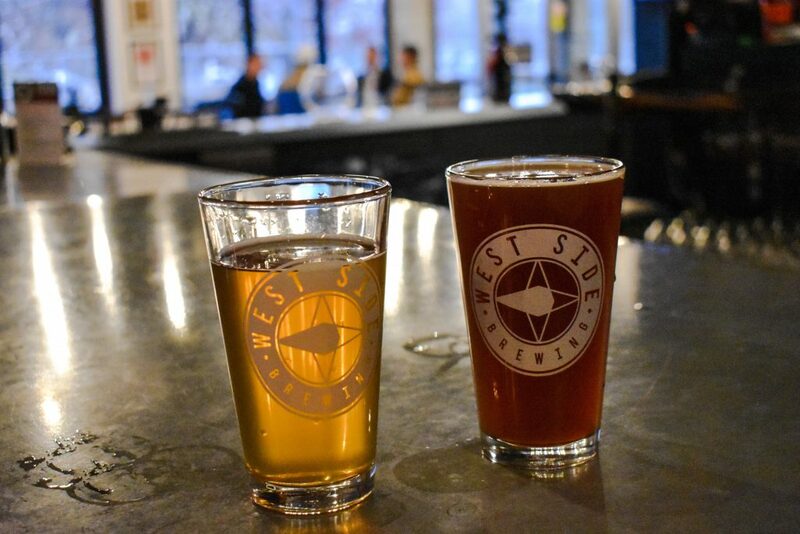 On Mondays, West Side partners with a charity, so you can drink toward a good cause. The brewery even offers coffee on tap because during the afternoons and Friday mornings, it doubles as a popular co-working space. Mumper says the beer menu has grown a lot since they first opened, along with some new food items, too. “We’ve done a lot more seasonal brews and we sell beer for distribution to around 150 places around town,” he says. The incoming chilly weather has brought around the Holiday Ale—a light, crisp ale perfect for making merry. Another standout is the light Munich Helles, Common Ale, and the smoky Rauchbier. The beer menu hosts a good amount of German beers and lagers as well as IPAs. 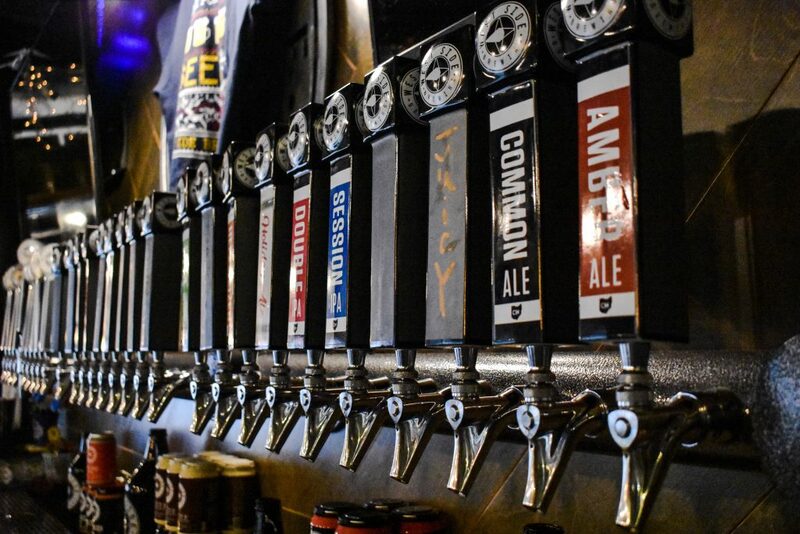 Also on tap are five different types of wine, root beer, and two deliciously tart and refreshing ciders: the Grand Mimosa Cider and Cider Boys Pineapple Cider. 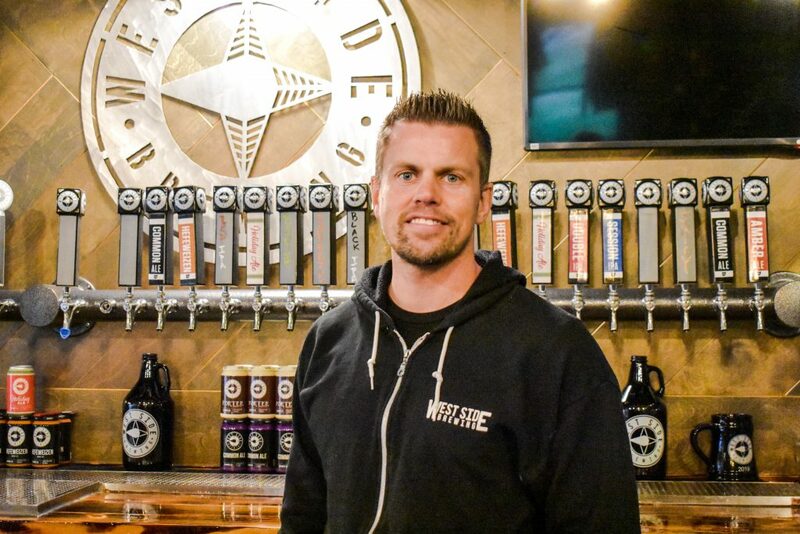 The food menu consists of subs, chips, cookies, and pretzels—although Joe says the brewery has been approached by a few local vendors that would like to set up shop there permanently. For now, the guys enjoy the variety of at least five different food trucks a week; however, regular customers might see some new in-house dishes in the future. 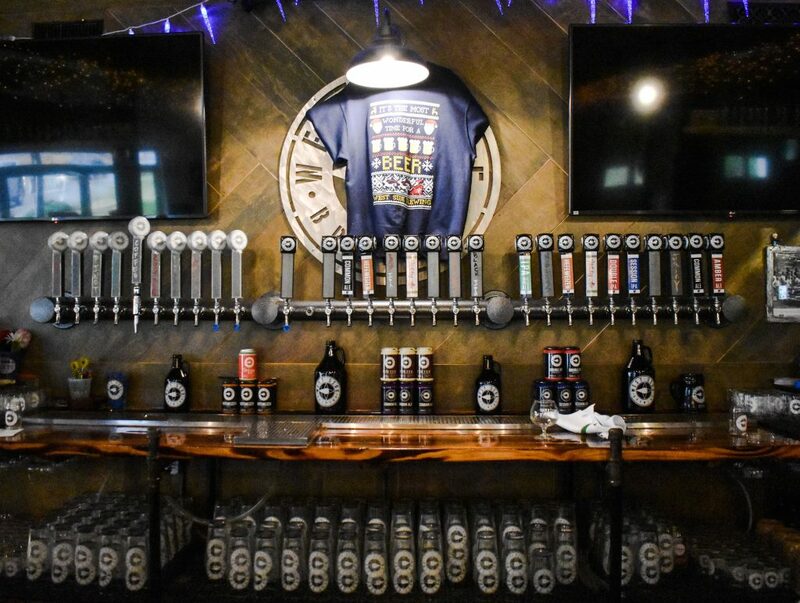 West Side Brewing has a jam-packed calendar of charity events, trivia nights, and even different exercise groups that sometimes host yoga. 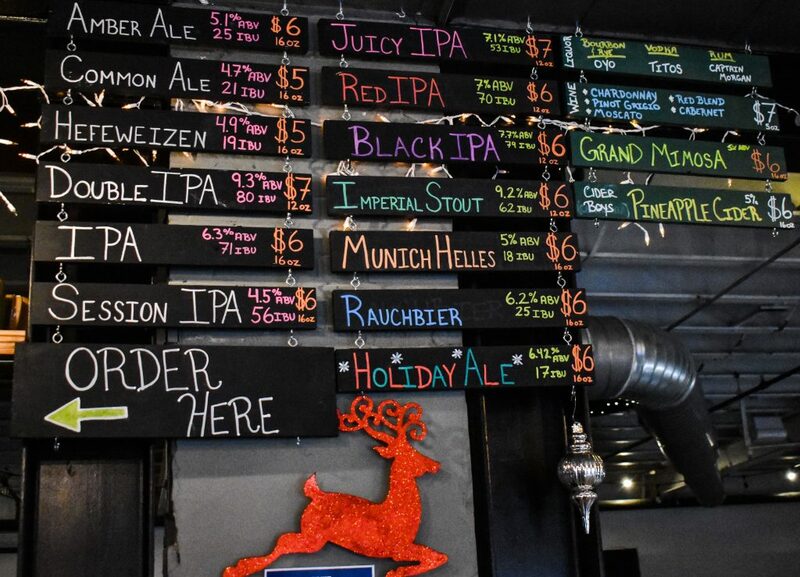 Mumper is looking forward to a charity-funding ugly Christmas sweater party on Dec. 8 and a New Year’s Day menu with beer mimosas and a brunch food truck. As for the pups, Joe says that even before the brewery launched, locals were asking if they would allow dogs. Therefore, they decided to put aside one dog-friendly night a week, because who doesn’t love drinking with their furry friends?